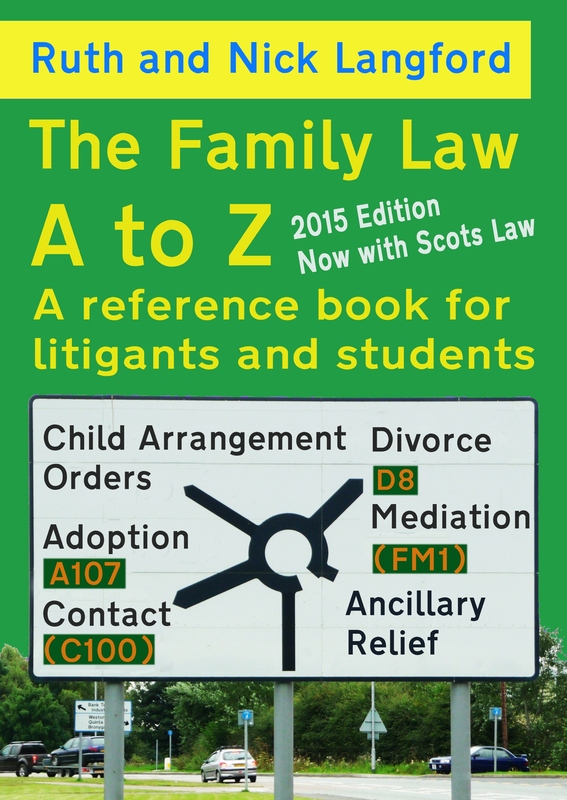 Today Nick and I publish the second edition of our book The Family Law A to Z. The update includes new case law and, more significantly, explanations of a range of Scots law terms from Avizandum to Sheriff. The book contains around 500 items of family law jargon, and explains their meaning clearly, adding discussion about how they are used, relevant case precedents, etc. We hope that the book will become an indispensable guide for all litigants, especially those representing themselves, for their advisors and McKenzies and for law students. We recognise that there has been a huge increase in litigants representing themselves, that negotiating the family courts on one’s own is a nightmare, and that there are very few books and resources available. We hope this guide will prove a worthy addition to the literature. By making it available on Kindle we intend that it will be downloaded to people’s phones, pads and laptops, and become a handy reference for them at all times. It also means we can easily update it and keep it current. We welcome any corrections of factual errors, formatting errors, or suggestions for new content.